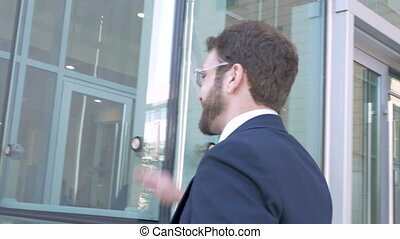 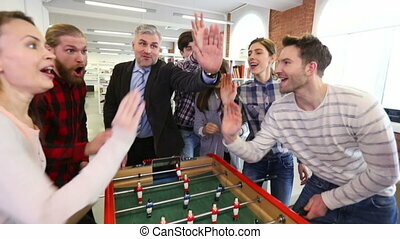 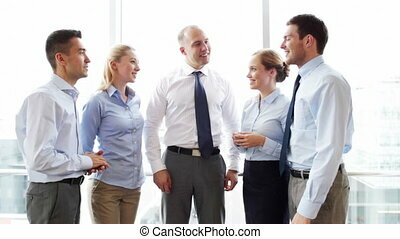 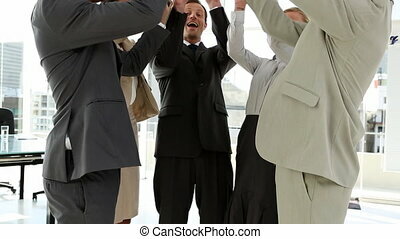 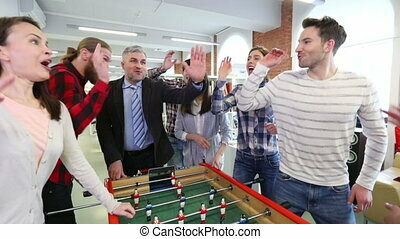 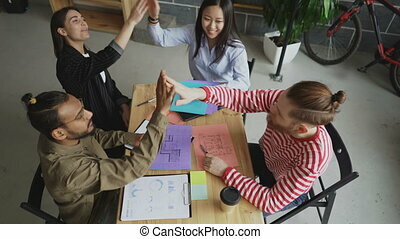 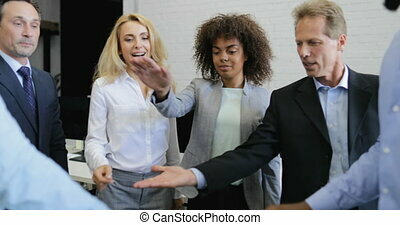 Business, office, teamwork, gesture and startup concept - smiling business team doing high five gesture in office. 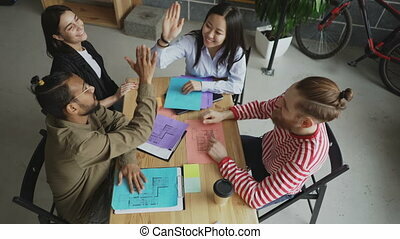 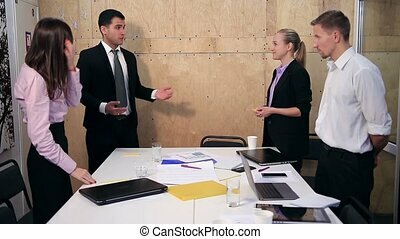 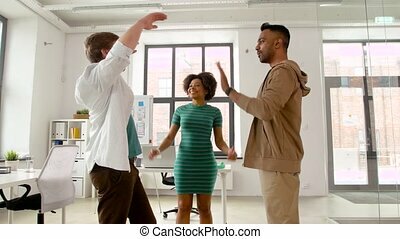 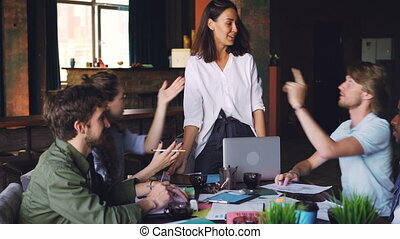 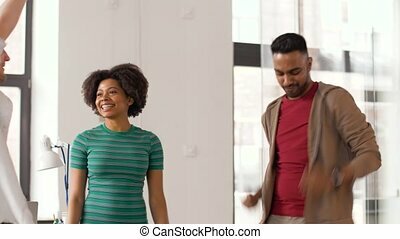 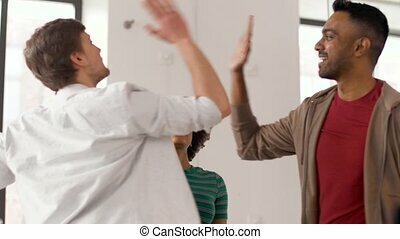 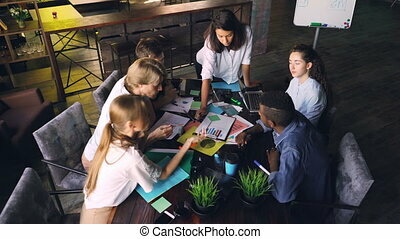 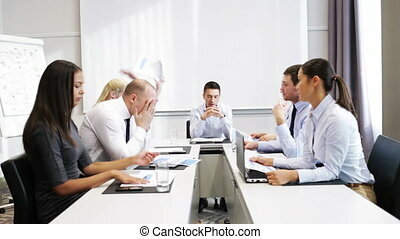 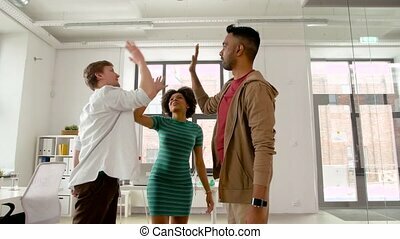 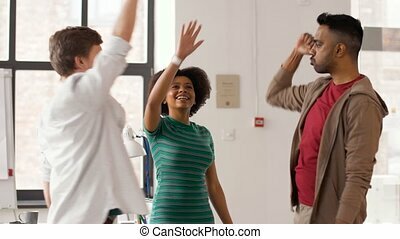 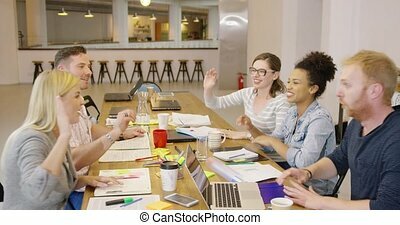 Young men and women creative workgroup are talking then doing high five during meeting in office while team leader is standing at table and smiling. 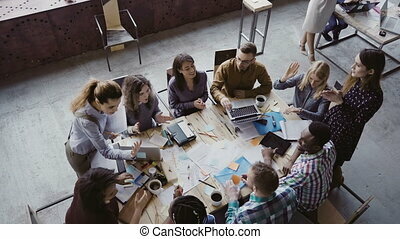 Business and people concept. 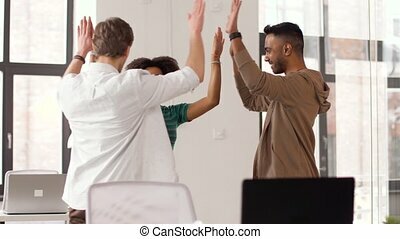 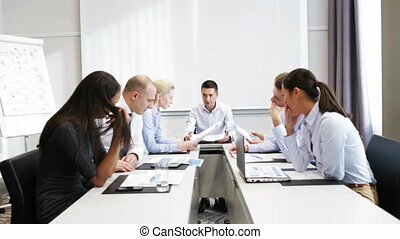 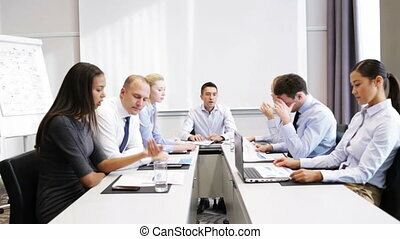 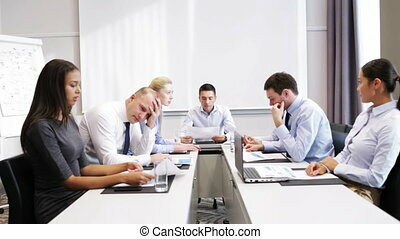 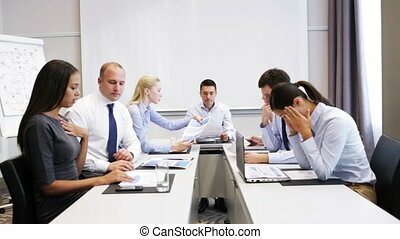 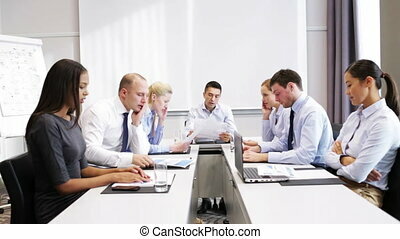 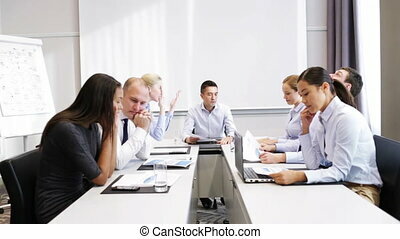 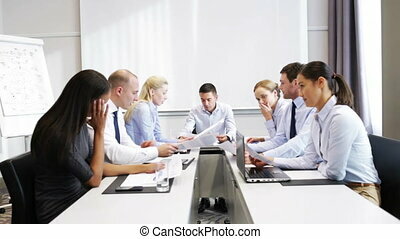 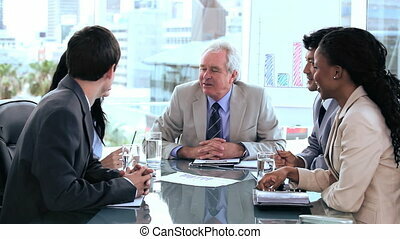 Multiracial team is analyzing charts and graphs during business meeting in office then clapping hands and doing high-five expressing support, unity and successful work.